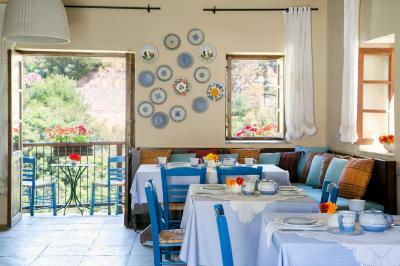 Lock in a great price for Casale Panayiotis – rated 9.1 by recent guests! 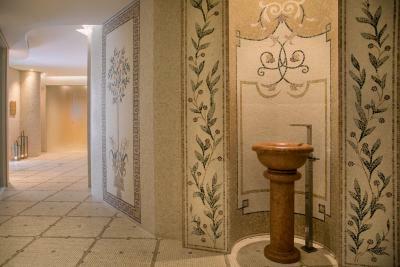 Spa is wonderful and the room well appointed (other than the need for some hooks to hang coats). Fireplace in the room was a very nice touch. 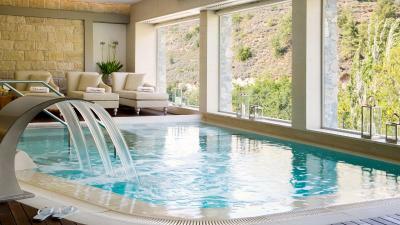 Amazing location, great food and relaxing spa facilities. 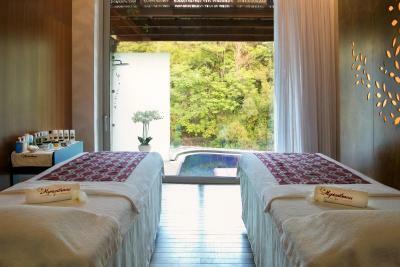 Beautiful location, attentive staff, nice spa facilities. Room was clean, and very nice. The staff at the byzantino were very polite. Beautiful hotel overall. Such a lovely and peaceful place!All workers were very polite and helpful.Thank you for making our weekends unforgettable! The location is perfect. 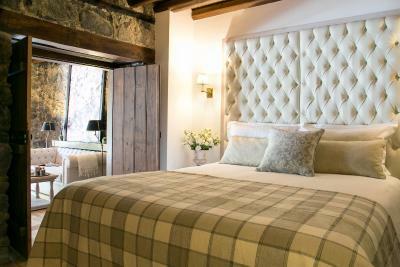 The room had wonderful character and charm. 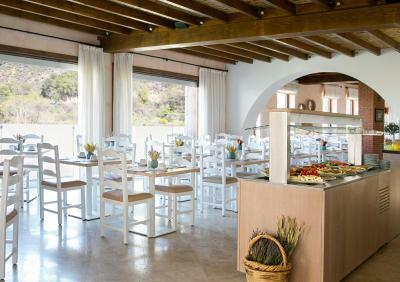 The meals at restaurant were very good , made with fresh ingredients. The service was great , very fast and polite. The soa service was excellent. The rooms were beyond phenomenal! 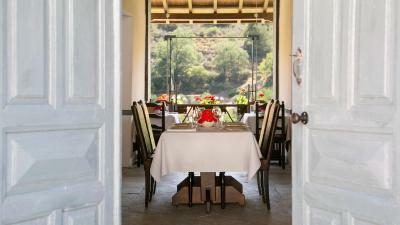 The property is an excellent getaway from all the hustle and bustle of the city! 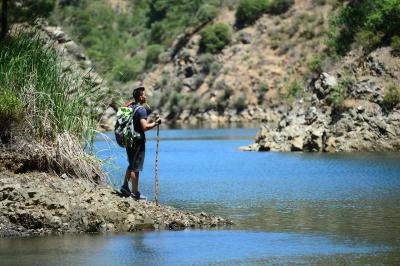 It is one of the best places that I have ever been to never expected to see such a nice place in Cyprus. Beautiful location. Excellent facilities. Welcoming and helpful staff. Interesting surroundings. 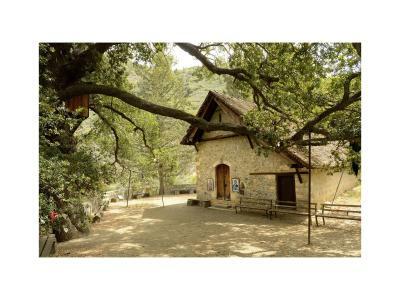 Casale Panayiotis This rating is a reflection of how the property compares to the industry standard when it comes to price, facilities and services available. It's based on a self-evaluation by the property. Use this rating to help choose your stay! 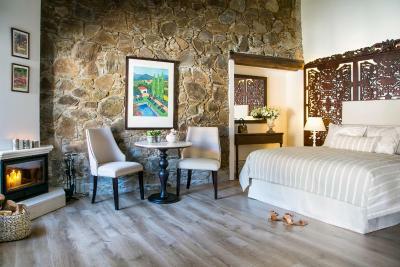 Individually furnished with Cypriot hand-crafted materials, the guestrooms are heated and air conditioned. A flat-screen TV with a DVD/CD player, safe, mini-bar and coffee maker are featured. Free toiletries, bathrobes, slippers and a hairdryer stock the bathroom. Some rooms have a fireplace, while all enjoy free Wi-Fi access. 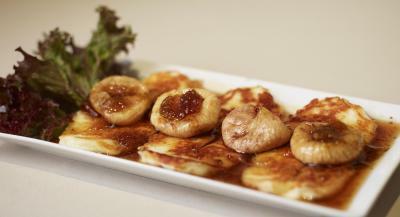 Byzantino Restaurant prepares authentic traditional Cypriot dishes consisting of local ingredients. 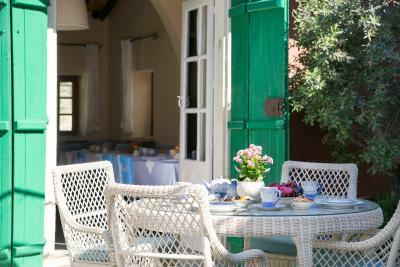 Each morning, the café at Casale Panayiotis serves a full English breakfast enriched with homemade jams, fresh fruits and herbal teas. An on-site wine bar and snack bar are also featured. 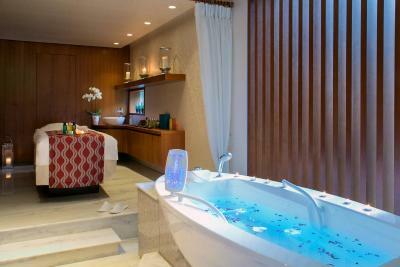 Guests can pamper themselves in the spa center, equipped with treatment rooms, sauna and steam room. 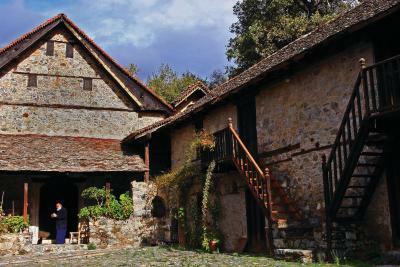 A variety of byzantine churches, the monastery of St. John Lampadistis, as well as hiking trails and natural springs can be found within walking distance from Casale Panayiotis. 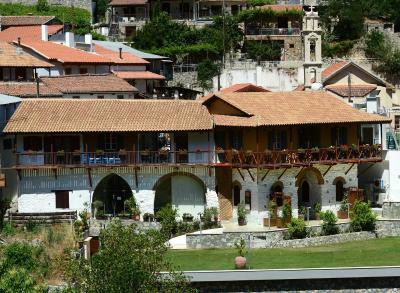 The famous Kykkos Monastery is around 30 minutes’ drive away. 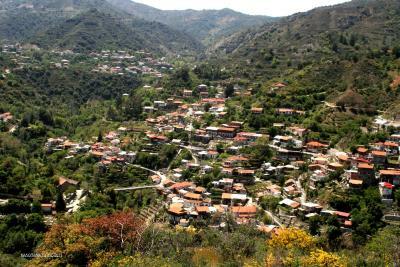 It is a 50-minute drive from the city of Nicosia and the city of Limassol. 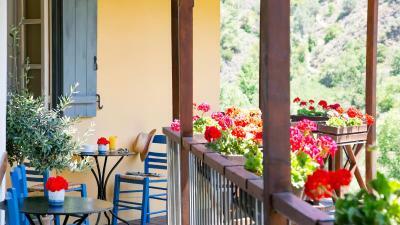 When would you like to stay at Casale Panayiotis? 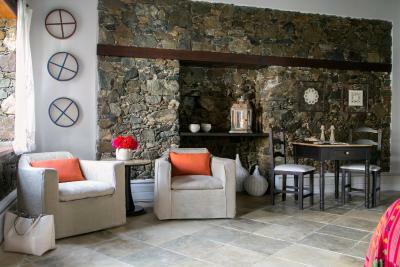 Offering more space and Cypriot-style decors, this studio combines elegance and tradition. 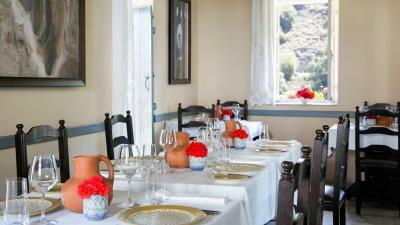 It is heated and air conditioned, and opens to a balcony or a garden with view of the garden or mountain. A kitchenette with a mini-bar and tea & coffee facilities, a flat-screen TV, and a safe are also featured. The bathroom includes free toiletries, bathrobes, slippers and a hairdryer. 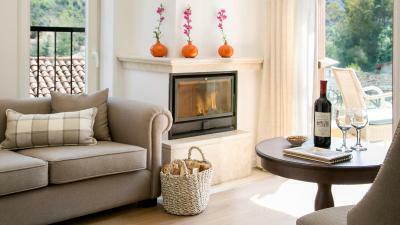 During winter, you can use the fireplace, while firewood is provided at a surcharge. 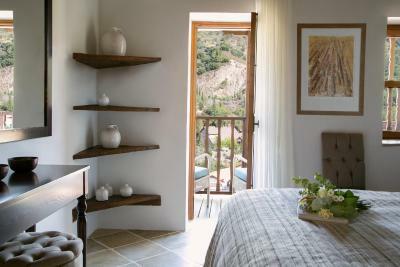 Consisting of a bedroom and a living room, the suite opens to a balcony or a garden with mountain views. There is also a kitchenette with a mini-bar, a kettle and a coffee machine, as well as 2 flat-screen TVs and a safe. Air conditioning and heating are individually controlled. 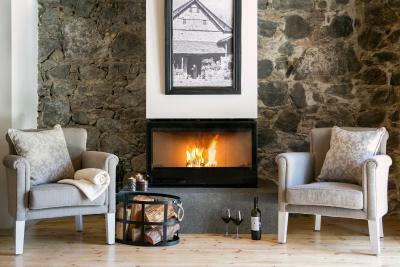 During winter, you can use the fireplace, while firewood is provided at a surcharge. 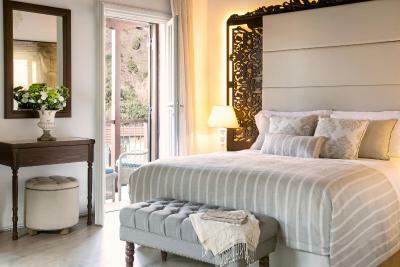 Our luxurious suites consist of two rooms, a bedroom with a full-size double bed, and a living room. 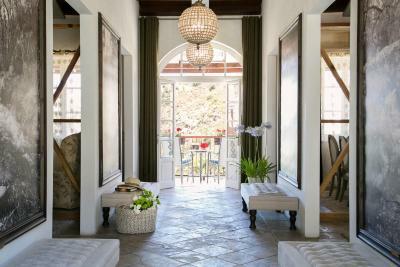 All suites have a private bathroom with complimentary toiletries, bathrobes and slippers. 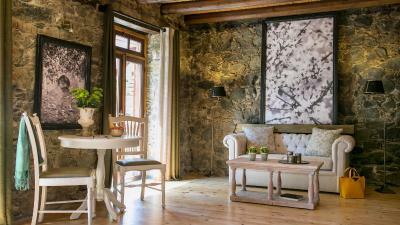 There is a balcony or courtyard with mountain views, a kitchenette with mini-bar, kettle and coffee machine, two flat-screen TVs with multiple channels, and a safe. 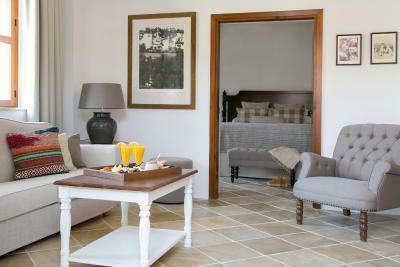 Each Suite has free WiFi and individually controlled heating and air-conditioning. 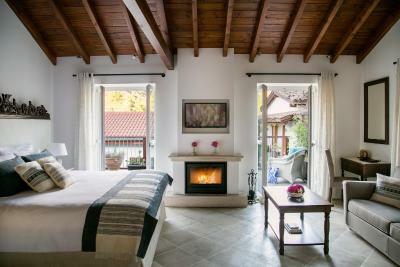 There is a fireplace for the winter months, with firewood available at a surcharge. 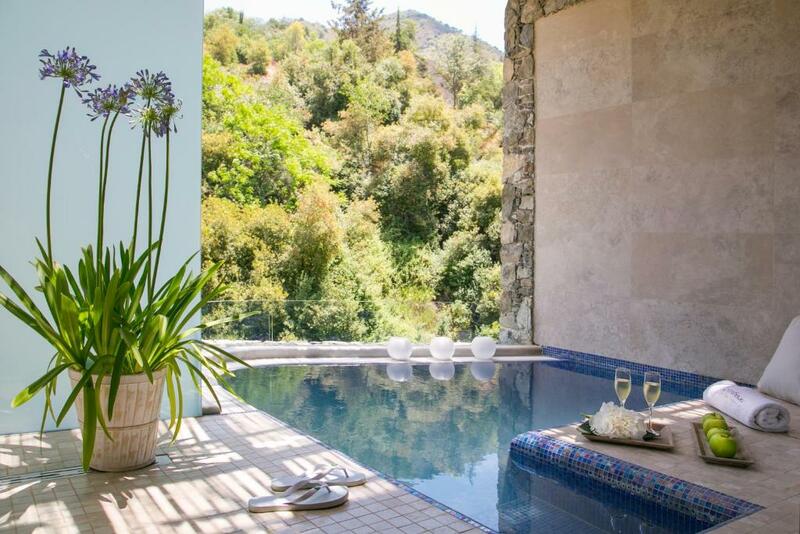 Rates include full daily access to the facilities of the award-winning Myrianthousa Spa, including the Hydrotherapy and Thermal Suite with hydrotherapy pool, sauna, ice-mist, herbal steam, snow cabin, tropical rain and foot baths; and the Spa Lounge with complimentary fruit and beverages. Please note that room rate includes full daily access to the facilities of the award-winning Myrianthousa Spa, including the Hydrotherapy and Thermal Suite with hydrotherapy pool, sauna, ice-mist, herbal steam, snow cabin, tropical rain and foot baths; and the Spa Lounge with complimentary fruit and beverages. House Rules Casale Panayiotis takes special requests – add in the next step! Casale Panayiotis accepts these cards and reserves the right to temporarily hold an amount prior to arrival. 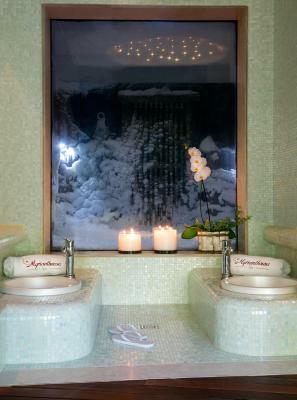 Please note that spa services and amenities are not available to children under the age of 12. 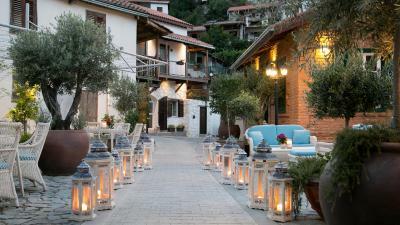 Please inform Casale Panayiotis of your expected arrival time in advance. You can use the Special Requests box when booking, or contact the property directly using the contact details in your confirmation. Difficult to explore whilst mobility limited. Pretty much everything! 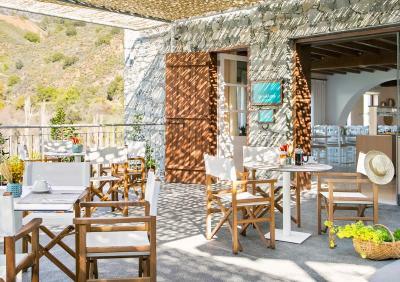 Location was stunning, the resort sympathetically and beautifully restored, lovely spa with amazing views, restaurant food was excellent with amazing views, staff very friendly and helpful, the most amazing olive bread at breakfast! The view Comfy bed Great food Breakfast! Beds a little too soft but not enough of an issue to prevent a revisit. 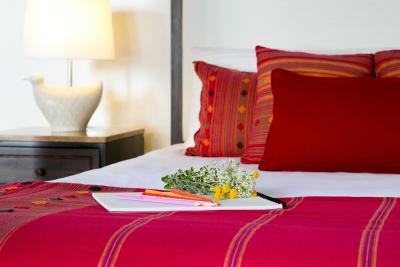 very clean, comfortable bed, excellent breakfast, great spa facilities! 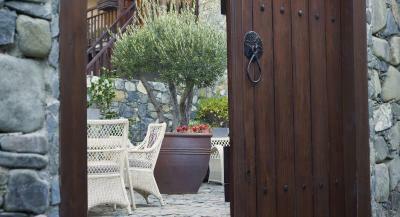 A beautiful hotel situated in the heart of a beautiful village!! The Library service on Sunday stated that its self service (they told my wife its because it was raining - pick one guys) whereas when asking the Hotel about this, they had no clue. In fact they stated that it should be working normally. Room location. It was at the Pantheon and the lift stopped working the days we were there at 7pm. We therefore had very steep climb back after our evening meal and bottle of wine. We ate at the Pantheon the second night! I wish they could have more modern hairdryer, but this one they have is ok. Just in case if they want to improve something. 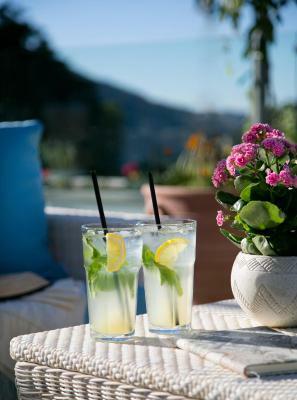 Perfect hotel with extremely friendly personnel. 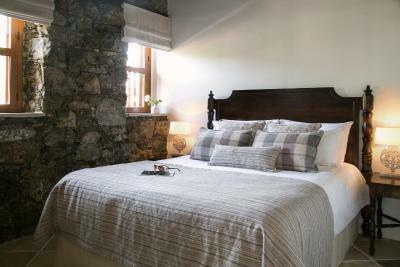 We had big room with cosy fireplace, veranda, tea/coffee facilities, nice bathroom. We enjoyed our stay so much, didn’t want to leave. Breakfast was tasty with big choice of different food. Spa was amazing! Everyrhing was perfect. Our room was big, clean and comfortable. The village is amazing with plenty of things to do. 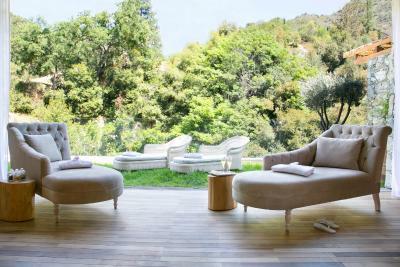 The spa is certainly worth a visit. 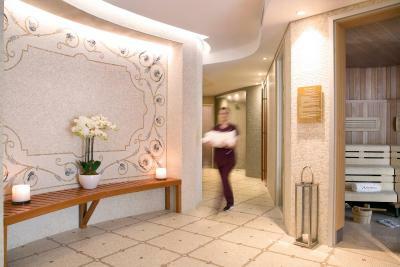 Amazing Service, very polite staff and the spa treatments including the massage was amazing too.. Very good experience! !